A team led by the Department of Energy’s Oak Ridge National Laboratory used neutron analysis to better understand a protein implicated in the replication of HIV, the retrovirus that causes AIDS. The enzyme, known as HIV-1 protease, is a key drug target for HIV and AIDS therapies. 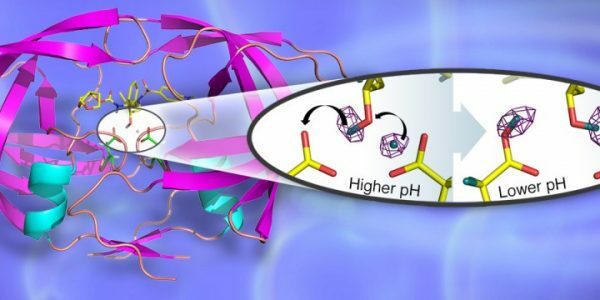 Researchers from ORNL, Georgia State University and the Institut Laue-Langevin in France used neutron crystallography to uncover details of interactions of hydrogen bonds at the enzyme’s active site, revealing a pH-induced proton ‘hopping’ mechanism that guides its activity. The team discussed the findings in a paper published in the journal Angewandte Chemie.